With just days left for the assembly poll dates to be announced, Kerala Chief Minister Oommen Chandy on Wednesday sought to highlight the work done by his government, urging public to make its decision considering it.Chandy made a brief presentation at the Tagore Theatre here and asked the people to decide. "When we took over the governance with just a two-seat majority, we were given less than six months, but we have gone the full distance and it's not because of our merits but because the unity with which we worked and the support we got from the people," he said. "We have done our best and now let the people decide," he said while making a passionate appeal. The chief minister said the Left opposition had only one agenda -- to waylay him. "One-third of my tenure I was waylaid by the Left opposition and I was even stoned, which caused an injury on my chest. 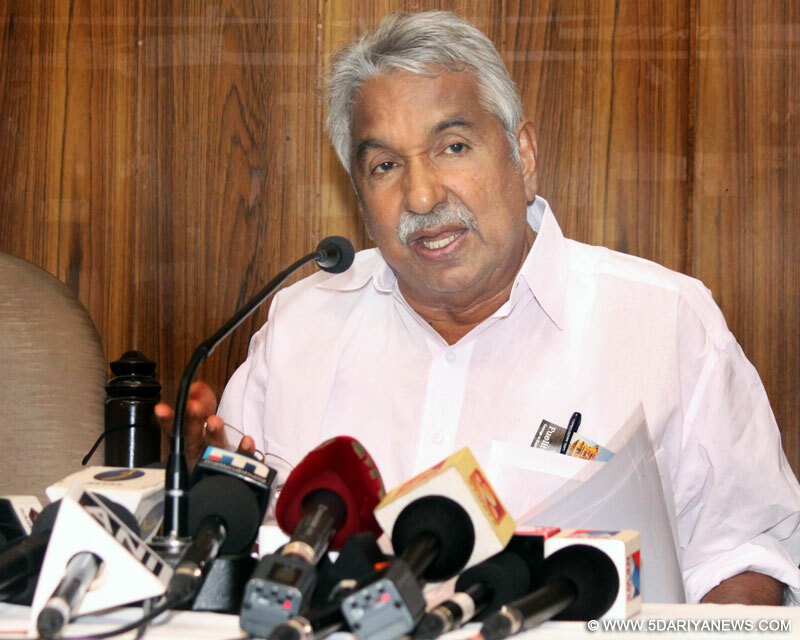 I asked my party not to organise a shutdown, which is a common practise here," Chandy said. "The Left opposition survived on raising baseless allegations and they never had anything to substantiate it," he said. "No government in Kerala had to face so much of these allegations, but we did our job and the biggest joy that I have is we have been able to prove that if we Keralites want to make a success story, we can do it and we were able to bring huge development projects including Vizhinjam port, Kochi Metro, Smart City and Kannur airport," said Chandy. He said one of his joyful experiences was when in his first 100 days in office he launched a free cochlear implant programme for all children with impaired hearing. "After successfully doing this implant on 100 children, they later came for a meeting and everyone was left teary-eyed when these children sang the welcome song," he recalled. "At the end of our term, so far 600 children have undergone this implant free of cost, which the state government has borne. Also the other similar programmes that we did for the weak and downtrodden also has given me tremendous personal happiness. Now we are going before the people and in a democracy, it's the people's will that works and we submit before them to decide on us," said Chandy.Chandy is set to become the first Congress chief minister after K. Karunakaran (1982-87) to have completed the full five-year term in office.